In our opinion, the best condition of your home starts from the top to the bottom. Therefore your roof is the most valuable part of your house. However, it experiences the highest amount of exposure to the elements and most often receives the least amount of maintenance. But did you know that with minimal attention you roof could remain in its best shape year after year, giving you the most return for your investment? Seasonal service is key to a long-lasting roof. This is why fall roof maintenance is important. Here are some tips to prepare your roof for the colder months ahead. While this is not direct roof maintenance, it is crucial that you make sure overgrown trees in your yard are trimmed in the fall. Fall weather in the Chesapeake region is unpredictable, to say the least. Did you know that the Atlantic hurricane season lasts until November 30th? That means extreme winds and heavy rains could blow down trees and large branches causing damage to your roof. It could also help prevent excessive leaves in your gutters, which causes drainage problems and potential ice dams in the winter. Cleaning the gutters is probably one of the most dreaded tasks homeowner’s face. However, it is a must. Clogged drains mean big problems. When the flow is blocked, excess water splashes on your roof encouraging mold growth and cracked shingles. It also could lead to ice dams in the winter, which cause significant roof damage. If you do not feel comfortable cleaning your gutters, invest in gutter caps, or hire a professional to clean them for you. While you may think you can understand the condition of your roof looking at it from the ground, it is invaluable to have a professional inspection at least twice a year, every fall and spring. That way your roof can be prepared for the harshest seasons of the year, summer and winter. A professional knows what to look for and knows what conditions could lead to significant issues. He can also check hard to reach and see things like flashing around pipes, chimneys, or skylights. If upon inspection any issues are reported it is imperative that you address it right away. As we said earlier, fall weather is unpredictable. You could experience hurricanes or major frosts and snow, all conditions that wreak havoc on your roof. Therefore fx any problem, no matter how minor it seems. Ignoring issues could end up costing you more money, not only in roof repairs but to fix internal damage from leaks inside your home. As a responsible homeowner, you understand the importance of being proactive with maintenance, and your roof must be a part of your property’s continued upkeep. Many times people forget about their roof until there is a problem. 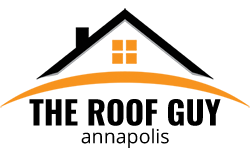 Contact the Roof Guy in Annapolis for your free roof evaluation. 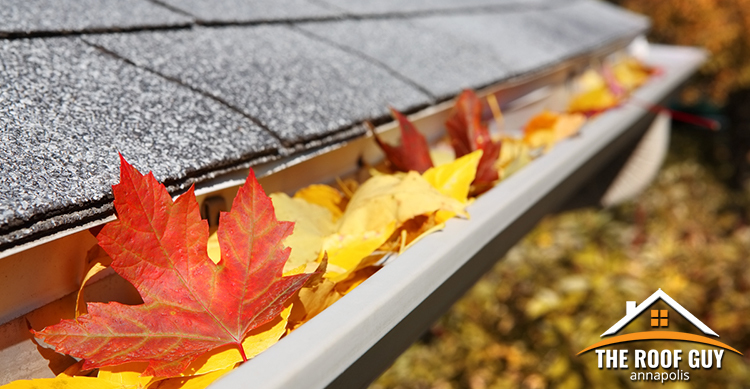 We understand why Fall roof maintenance is important and can help you get ready for whatever winter has in store. Schedule your appointment today!